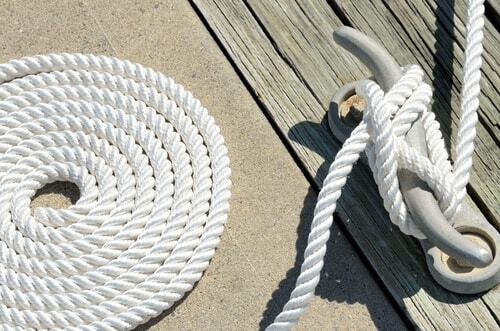 Welcome to part 3 of our series on knot tying. This week we will be covering a variety of different hitches. 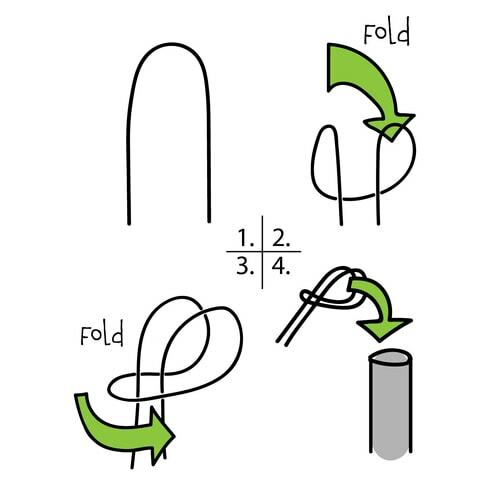 Last month we talked about simple loop knots. While a loop is a rope attached to itself, a hitch is (usually) a rope attached to an object. We are covering a lot in this installment, but don't worry, we've got plenty of moving pictures to keep you entertained! This ultra-simplistic knot is used everywhere. If you think you have not seen it before, you are wrong. 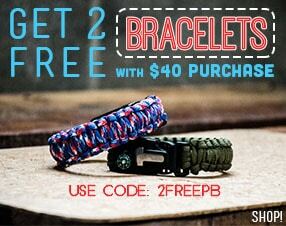 Have you ever seen a paracord bracelet? How about a necklace with a pendant? No? Really? How about a scarf? Then you have seen a cow hitch knot before. The reason I like the cow hitch is because it is so quick to tie. It can be tied in at least 4 different ways, depending on what you are tying it to. There are many variations of this knot that modify its usage, but we are going to stick with the basics for now. When you have access to both ends of the rope (or scarf), but not to either end of the object you are tying the hitch around, this is the way to go. This is the same way you can attach paracord to a buckle when making a cobra bracelet. Picture a cowboy jumping off his horse and needing to secure the reigns to a post. The reigns are a loop, so he cannot feed the ends through, instead he does a quick folding of the end loop and comes up with this. The horse can't get away unless it can lift the reigns off the top of the post. But you can't loop your cow hitch over the top of your object when your object is circular. Luckily this one is pretty easy. Simply insert your loop through the ring and then pull the ring through the loop. The final way to tie this knot is by simply following the path you see in the end result. This is not the easiest way to tie the cow hitch, but sometimes it is the only option. When you do not have access to either end of the object you are tying to, and only have access to one end of rope, you are left with only the hard way. While the clove hitch is a somewhat controversial knot due to its ability to slip in some circumstances, it is still highly useful when used right. Let's just say its "misunderstood." While it is often used in life-and-death situations, someone who is not professionally trained should not trust their life to this knot. One must take into account the type of rope used and the directional pull of the load in order for this knot to remain secure. When used right, it can be a very secure knot that is fairly easy to untie. Good uses for the clove hitch are: raising or lowering tools on a cliff or scaffolding, and tying sticks to rope for use as a ladder. As shown in this video, the clove hitch is a very useful knot as long as certain precautions are taken to make it secure in critical applications. Also, look up "best dock line handlers" on Youtube for a cleat hitch skill level to aspire to. 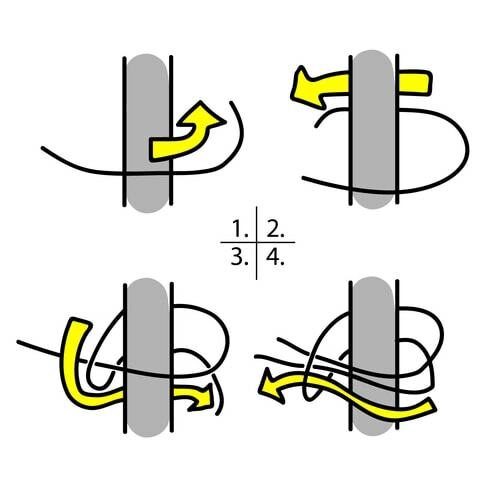 This knot is often used by truckers—surprise!—or anyone else securing a load. It has the ability to be tightened and easily tied-off in a way that does not allow the line to loosen. If you find yourself without a ratcheting tie-down strap, this is a good alternative. This video is NOT a good instructional on how to tie the trucker's hitch, but gives you an overview and is very entertaining! Don't worry, there is a much simpler version of the truckers hitch than this video's version. And with that, I hope I have convinced you that knots are useful and even fun! What do you think of hitches? Have you stared at a complicated knot tutorial before and thought, "I'll never master this one!"? Tell us about about your successes or failures in knot tying down in the comments! Congratulations to Dustin and Aaron for winning Free Hank Friday last week. Comment below by Monday for your chance to win 100ft. 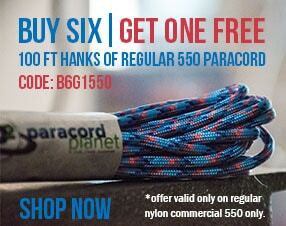 of #95 paracord! Join us the first week in August for the next post on knots, and join us every week for more content on paracord, bungee cord, survival, and crafting inspiration. Subscribe to our newsletter at the bottom of this page to get notified about new posts.